Keep your cat happy, clean, and comfortable with grooming services from the friendly and highly-trained staff at Pupperdoos and Kitties Too!. 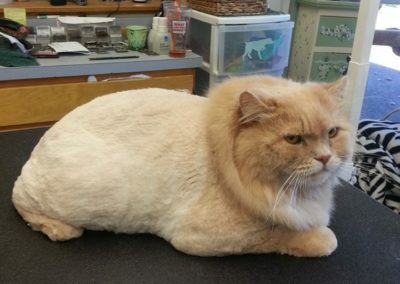 Your cat will receive our full-service treatment, which includes being bathed in all-natural shampoo and conditioner, blow drying, nail trimming and clipping, ear cleaning, de-matting, and detangling. In addition to our quality cat and dog grooming with competitive rates, our locally owned and operated team also specializes in small animal grooming including rabbits, guinea pigs, and ferrets.